Stopping over at S11 near my friend's place, I decided to join the Lor Mee queue after being convinced by the long queue as well as my friend's introduction. 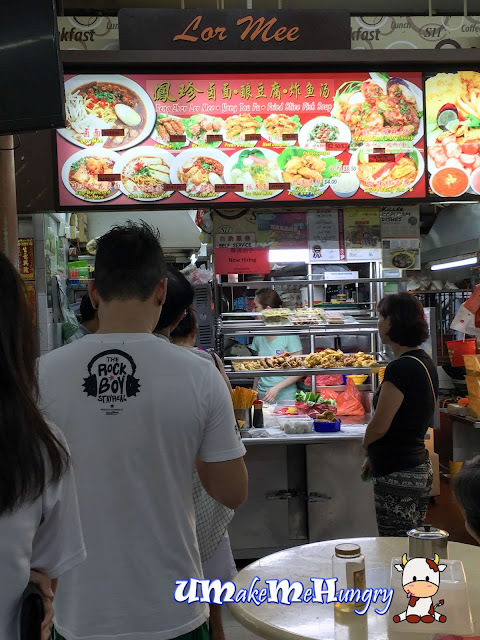 The Lor Mee Stall is unique as it sells more than just Lor Mee with other food items like fried fish soup and Yong Tau Foo available too. Keeping the traditional way, I ordered the yellow flat noodles instead of others. The bowl of Lor Mee ingredients looked just like any other standard bowl comparatively with braised egg, braised pork belly and fish cakes. What caught my sight was the additional fried minced pork ball that was added generously to my minimum portion ordered. The dark brown minced pork balls were fried into dark brown in colors and were really yummy. Braised gravy on the other hand was not too bad too! If you are looking for some stomach warming Lor Mee in Choa Chu Kang area,this pocket friendly bowl of delicacy may just fit the bill.